History Behind The Regiment: In the year 1739, the six independant companies of the "Highland Watch", along with four newly-raised companies, were incorporated into a Regiment of Foot under John, the Earl of Crawford. 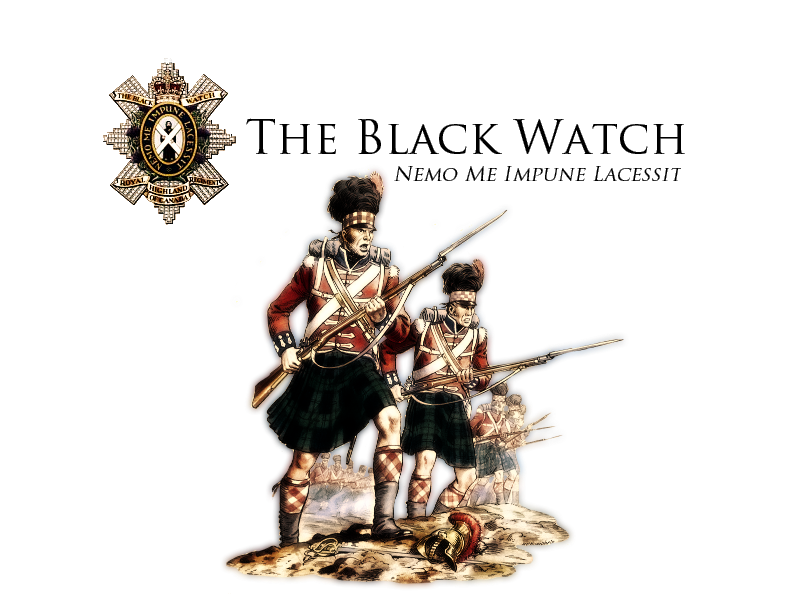 This Regiment was originally numbered the 43rd Highland Regiment, but was renumbered as the 42nd in 1749. 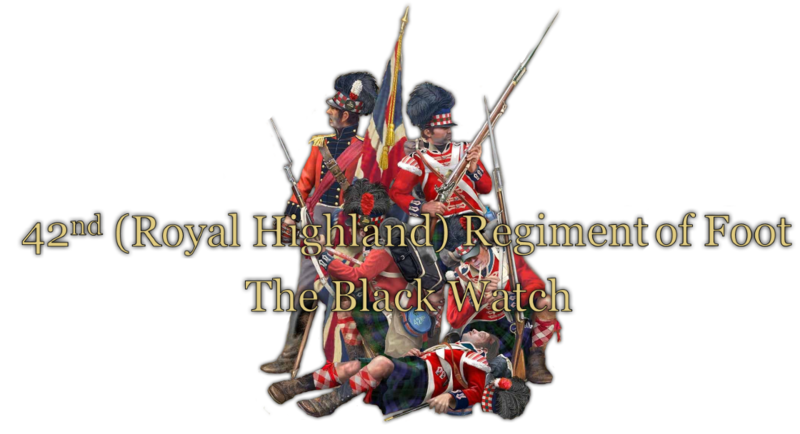 The new Regiment continued to serve as the Highland Watch, in Scotland, but the British command sent the regiment as reinforcements in Flanders and Germany, in the war of the Austrian Succession. This resulted in a mutiny in 1743, but ended without bloodshed. (Save the executions of those responsible!) The regiment received its baptism of fire in the Battle of Fontenoy, 1745, and returned in 1745 during the Jacobite Rebellion, where they were stationed in the south, in anticipation of a French invasion. In 1747, they were garrisoned in Ireland, where they remained for 9 years. What We Will Achieve: Through determination, discipline, and high morale; the 42nd Queens Royal Highlanders will control the field of battle with complete and utter dominance. As one of the most experienced, well trained, and prestigious regiments the United Kingdom had ever seen, we intend on completing our duty to the Queen of England. We do not accept just anybody, we have to see that you are fit for service so don't expect to get in just because you'd like. I like the copy paste art work ! !